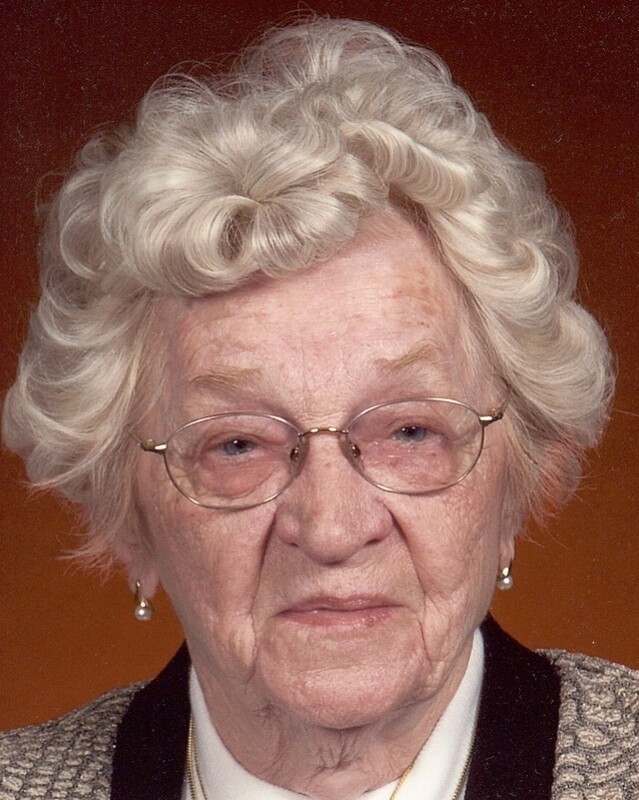 Althea Ross Carrick, of Catonsville, Maryland passed away on March 13th, 2019, at the age of 103, or as she would say “in her 104th year.” She died unexpectedly of a weak heart and old age. She was the beloved wife of the late Walter Anthony Carrick who died in 1981. She was born to parents Charles Solomon Ross and Gladys Marie Stuart on June 20, 1915 in Barton Maryland. She is survived by her three children, Ross (Barbara) Carrick of Catonsville MD, Fay (Scott) Neal of Snellville GA and Judy (Millard) West of Marietta GA.
Althea graduated from Barton High School in 1932, Frostburg Normal School in 1935 and Frostburg State Teachers College in 1936. Her first teaching position was at Mulligan Elementary in Mitchellville Maryland and then on to Glenn Dale Elementary in Glenn Dale Maryland from which she retired from in 1975. Her teaching career of 39 years was followed by 44 years of retirement. To show their appreciation and love, many of her former students have stayed in touch over the years with personal visits, telephone calls and written letters. Her love for her five Grandchildren and 15 great grandchildren was no secret. The smile on her face would light up the room when her grandchildren and great grandchildren walked in. Althea was a gifted china painter, former Sunday School Superintendent and board member of Perkins Chapel Methodist Church, an active member of the Glenn Dale United Methodist Church, and a member of the Glenn Dale Senior Citizens association. In 2000, Althea moved to Charlestown Retirement Community in Catonsville Maryland where she continued her volunteering to help others and she made crafts for sale to support the benevolent care fund. In accordance with her wishes, her graveside service will be private. There will be a memorial service at a later date. Memorial contributions may be made in Althea's name to Glenn Dale UMC, 8500 Springfield Road, Glenn Dale MD 20769 or Charlestown Retirement Community (ATTN: Philanthropy), 719 Maiden Choice Ln, Catonsville, MD 21228. Arrangements by HUBBARD Funeral Home, Inc.